Our Ronald McDonald House provides a supportive “home-away-from-home” for families and their children who are receiving medical treatment at Children’s of Alabama, UAB, or other area hospitals. We provide guest families with all the comforts of home – plus a local support network – so they can focus on their children’s healing. Without our House, families might have to sleep in the hospital lobby, a child’s hospital room or even in their cars, as most families cannot afford a hotel for weeks or months – especially under the financial stress of mounting medical bills. Birmingham’s only affordable temporary housing facility for sick children and their families, the doors of our House are open 24 hours a day, 365 days each year, to welcome families of sick or injured children. Staying close by allows parents to better communicate with their child’s medical team and provides adherence to complicated treatment plans. The Ronald McDonald House in Birmingham has welcomed over 40,000 families since we opened in 1979. 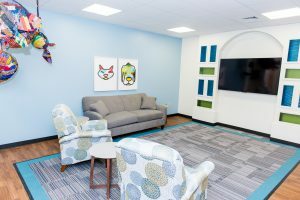 Since 2010, the Ronald McDonald Family Room at DCH Regional Medical Center in Tuscaloosa provides an oasis of calm for families, while increasing their ability to advocate for their child. They can find comfort, care and support without leaving their child’s side. Our family room is steps away from the NICU and provides families with a healing respite from the beeping machines and stress of the hospital environment. Amenities include laundry facilities, computer with free WiFi, comfortable chairs, and a flat screen television along with a library of DVDs. Also located within the Family Room is a children’s Play Room for children currently admitted to the Pediatric Unit. Children will be able to play and have fun while their parents watch over them in the Family Room. 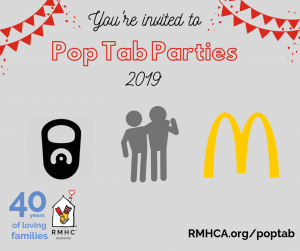 The Ronald McDonald Family Room at DCH Tuscaloosa is a partnership of RMHCA and the DCH Health System and together we would like to thank everyone who has made the Family Room possible! In January 2018, RMHCA opened Birmingham’s first Ronald McDonald Family Room at UAB Women & Infants Center. 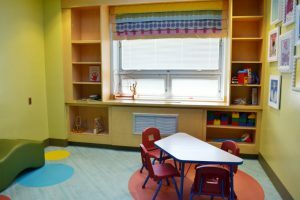 Located within the RNICU and Continuing Care Nursery, this family room includes a kitchen where families can grab a snack or warm up a meal; a sitting area for reading, chatting or watching TV; and tables where parents can share a meal or enjoy family programs. There are also three private sleeping rooms and three private showers where parents can rest and recharge. 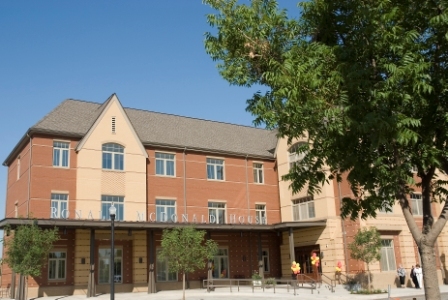 The common area is open from 9 a.m. to 9 p.m. every day. The sleeping/shower areas are managed by the Continuing Care Nursery nurses. Click here to learn more about donating to the Ronald McDonald Family Room at UAB Women & Infants Center. 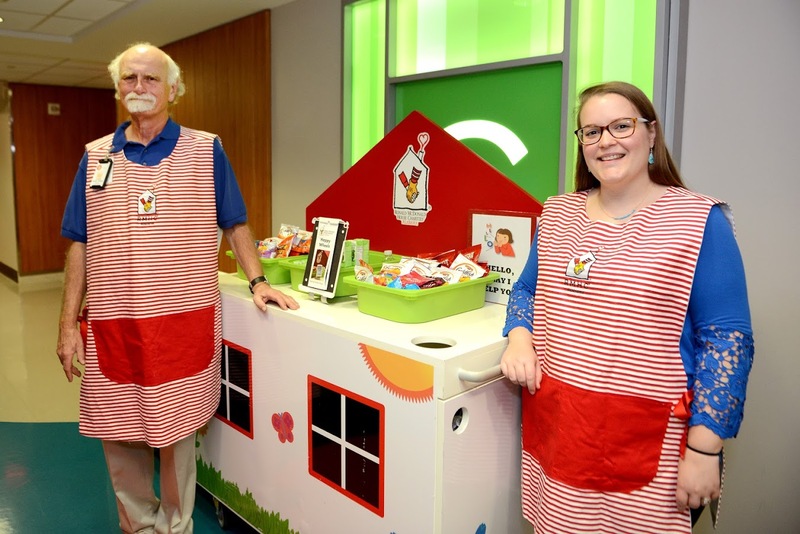 Our Happy Wheels Cart program was launched in 2016 and delivers the comfort and care provided by the Ronald McDonald House to children and families while they’re at Children’s of Alabama. Families at the hospital, including siblings, often wait long hours or even days without being able to leave the hospital or even their child’s bedside. Happy Wheels volunteers move throughout the hospital and offer items such as toiletries, drinks, snacks, books and age-appropriate activities and toys to patients, siblings and their caregivers. We are so excited to be partnering with Children’s of Alabama to bring our Happy Wheels cart into the pediatric areas of the hospital two to three days a week. Children’s provides excellent care for patients and families and this will be a great addition to their family-centered care.